1. That the case of Demjanjuk versus Germany - application no. 24247/15- be referred to the Grand Chamber of the European Court of Justice for Human Rights and Fundamental Freedom. 2. To quash the Judgment of the fifth Section of the European Court of Justice dated 24.01.2019 and sustain the Human Rights Complaint and declare, that the decision of the Regional Court Munich /LG/ dated 05.04.2012 and also the decision of the Court of Appeal Munich /OLG/ dated 04.10.2012 violate Art. 6 sec. 1 and sec. 2 of the Human Rights Con­vention. 3. To award a reasonable pecuniary compensation. The cause Demjanjuk versus Germany raises both serious questions as to the interpretation and application of the convention and also that of general public importance. 1. Violation of Art. 6 sec. 1 ECHR. In the decision of the European Court of Justice dated 24.01.2019, the decision of the Court of Appeal Munich /OLG/ dated 04.10.2012 was discussed. The fifth Section accurately established that the Court of Appeal Munich /OLG/ considered the complaint against the decision as inadmis­sible and dismissed it. The Court of Appeal Munich /OLG/ purported that lodging an appeal in a criminal proceeding can only be done by the accused in person and this right perishes at the end of the defendant’s life. Neither the wife nor the children nor the defence have any standing, that would permit them, to lodge a complaint against the decision of the Regional Court Munich /LG/. With its decision, the Court of Appeal Munich /OLG/ established an unsurmountable legal barrier to prevent the wife, the children, the heirs and the parties involved in the proceedings from access to court which rendered the decision of the first instance final and unappealable. This legal position of the Court of Appeal Munich /OLG/ , namely to establish an absolute barrier for a legal action clearly infringes on Art. 6 sec. 1 of the Convention, because the guarantee of legal action and the guarantee of access to the courts, laid down in Art. 6 sec. 1, is a fundamental unalienable right which is protected by the entire Human Right Convention. Any person or entity, that wilfully and intentionally violates or endorses the violation of the settled case law of the Eu­ropean Court of Justice by obstructing the right of access to the courts, as the Court of Appeal Munich /OLG/ has done visibly despite their knowledge, attacks the central and fundamental ju­dicial order of the Federal Republic of Germany and that of the European community. The Court of Appeal Munich /OLG/ took a position that is in its entirety, irreconcilable with the case law of the European Court of Justice despite being aware of this case law. It had knowledge of the settled case law of the European Court of Human Rights in the case Nolkenbockhoff to Art. 6 sec. 1 ECHR. In any event, rather than complying with this clear and settled position of the law, which was strictly binding on the judges of the Court of Appeal Munich /OLG/ , they rejected the laid down principles crucial to the protection of fundamental rights and completely barred the appel­lants, from accessing the courts for reasons, that are not founded on the law. Such grave and deliberate violation of the fundamental rights provisions of the European and the Federal Republic laws can only be justified or tolerated if Art. 6 ECHR itself provides the exemp­tion, i.e. bars the right of access to the courts. Such an exception is not mentioned anywhere in Art. 6. Bearing in mind the indispensability of the right to access the courts, such an exemption, permitting a bar on calling on the courts, is unthinkable. The guarantee provided by Art. 19 of the Basic Law/GG/ in connection with Art. 6 sec. 1 of the ECHR to access the court is of such utmost importance for any judicial order, that an exemption is utterly inconceivable. The position of the fifth Section, and the reasons provided at page 6 and 7 of its judgement, fun­damentally infringe upon the importance and the intention behind Art. 6 sec. 1 ECHR. The fifth Section falsely purports that the Court of Appeal/ OLG/ examined the complaint lodged by the appellants and did not establish a breach of Art. 6 sec. 2 and that the Court of Appeal/ OLG/ de­clared the complaint as unfounded. Consequently, deducing that the access to court was infringed upon in theory but not in practice. This argument is irreconcilable with the wording and the reasoning of the judgment of the Court of Appeal Munich /OLG/. It follows that the court of appeal examined and dismissed the claim in substance. decision of the Regional Court Munich /LG/ II dated 05.04.2012 is dismissed as in­admissible. The operative provision of the decision, consequently, became final. The operative provision of the decision of the Court of Appeal/ OLG/ is a serious and fundamental violation of the right of access to a court of the European justice system. The Court of Appeal Munich /OLG/ did not state anywhere in its operative provision of the deci­sion that the appellant’s complaint was unfounded. The implication is that the Senate is clearly stating, in its elucidation beginning on page 5 fig. 3, that it is making a remark but not on the merits of the complaint. Clearly, from the legal point of view, this is considered to be an obiter dictum, a remark said in a judgment in passing but has no bearing on the decision and on the grounds for the decision. This legal opinion could have readily been omitted as it has no bearing on the decision and the grounds for the decision, which are cru­cial to the decision. The fifth Section can by no means and should not purport that this can be con­sidered as a final judicial decision on the merits of the complaint. By taking this approach, the fifth Section of the European Court of Justice is infringing on the fundamental principles of legal interpretation, taken as the basis for legal order and also Art. 6 ECHR. An obiter dictum is not subject to the strict rules for the legal reasoning of a decision and was developed, to make a remark in passing without its being binding, which may readily be omit­ted as it is not part of the legal reasoning for the decision. The fifth Section of the European Court of Justice is not allowed to not use the obiter dictum of the Court of Appeal /OLG/ on Art. 6 sec. 2 as the basis, an assessment of a lecture, on the in­fringement of Art. 6 sec. 1 and Art. 6 sec. 2 of the ECHR in the decisions of the Regional Court/ LG/ and the Court of Appeal /OLG/. With the decision of the Court of Appeal /OLG/, barring the appellants access to the courts unduly, the judges finally concluded and violated the law in the most serious way imaginable. They were aware of the fact that the bar imposed on the appellants from accessing the courts infringed on their fundamental human rights. Their remark stating that the decision of the Regional Court Munich/LG/ dated 05.04.2012 did not violate Art. 6 sec. 2 of the ECHR purpose was to mask this fundamental violation. One can entirely rule out that the judges, who unlawfully barred the appellants from accessing the courts, would subsequently adopt the view that the appellants were right indeed. The legal opinion remarked by the Court of Appeal/OLG/ with regards to Art. 6 sec. 2 was, for the judges, a necessary consequence to their violation, of barring access to the courts and at the same time the only possibility to mask the violation. With the obiter dictum remark, the bar to access the courts was affirmed and to become final. The obiter dictum is therefore inconsistent with the due administration of justice but rather a preven­tion of administering justice. This has been entirely misjudged by the fifth Section of the Europe­an Court of Justice. 2. Violation of Art. 6 sec.2 ECHR. Penologist: No argument about guilt after death. Professor Martin Heger, professor of criminal law at the Humboldt University in Berlin, is sceptical about the decision of the ECHR. The presumption of innocence in Article 6 (2) of the ECHR prohibits, in principle, shifting the costs on to the surviving depend­ents, if the decision can only be premised on a suspicion and not on the guilt of the ac­cused. A court should not continue to argue about guilt after the death of the defendant. It would be different if at the time of death, for example, only formal, technical ques­tions of revision were open. Specifically, for example, if the decision had already been written, but judgment could no longer be rendered on the next day, because the defend­ant died in the night. From Heger's point of view, the problem cannot be solved by some kind of prognosis, which estimates the chances of success of the revision after the death: "As soon as the question of guilt is touched upon, that cannot be done," says Heger. A prognosis of the outcome of the revision had little or no toehold in the specific case of Demjanjuk, the files had not yet reached the Federal Court of Justice /BGH/ at the time of his death. b. ) The fifth Section of the European Court of Justice does not deny that, despite the reception of the revision in November 2011, the appeal had not yet been sent to the Federal Court of Justice, the competent Court of Appeal, by the date the defendant passed away. The fifth Section consid­ers that the approach taken by the Regional Court Munich / LG / is appropriate and blames the defence, which subsequently filed several briefs until shortly before the death of the defendant. According to this, it is binding under German law that the appeal should have been referred to the Federal Court of Justice latest by December. The defence was free to submit further briefs, these may well have been 5, 10, 20 or 100. § 347 CPP/StPO/ only requires that the application for the appeal was submitted in the prescribed form. After one week or after receipt of the written coun­ter-briefs within one week, the application for revision must be referred to the Court of Appeal without any kind of qualifications or excuses and without any regard to subsequent briefs of any kind. Because the application for appeal was not sent to the Court of Appeal, but instead were hovering in Munich for several months until the day of death, the accused was barred from accessing the Court of Appeal, another plain and serious violation of Art. 6 ECHR. „1. The proceedings are discontinued. The expenses will be borne by the Treasury. The Regional Court / LG/ omitted to make the necessary decision in regard to the expenses of the proceedings and refrained from making the decision that the expenses should be borne by the Treasury. The reason for this omission is apparent. The Regional Court/LG/ wanted to avoid, under all cir­cumstances the decision of discontinuation contradicting the judgement of guilt rendered by the court in 2011 where the court imposed the costs of the proceedings on the defendant. In particular, the omission to make this legally binding decision according to § 467 sec.ICCP/ StPO/ was meant to reinforce and confirm the judgement of guilt. If the decision had stated that the cost should be borne by the Treasury according to § 467 sec.l, the public, at any rate the informed public would have seen that the decision of discontinuation establishes the innocence of the defendant perma­nently and that the judgement of guilt from 2011 was of no importance. The Regional Court /LG/ wanted to avoid that at all costs. The Federal Court of Justice/BGH/ expects of Regional Court/LG/ to also make a decision on compensation for the pre-trial detention of the defendant in the event of discontinuation. This, too, had to be avoided at all costs because the decision of 5 April 2012 was supposed to make it appear as if the defendant was guilty with a final judgment and an attempt to project some kind of meaningfulness into these proceedings, as a whole. The omissions made by the Regional Court /LG/ alone, in the decision on costs and on compensa­tion for the time spent in pre-trial detention, prove the Regional Court’s intention, i.e by under­mining the presumption of innocence of Art. 6 sec.2, to justify and to legally seal the proceedings and the judgement of guilt against the defendant. 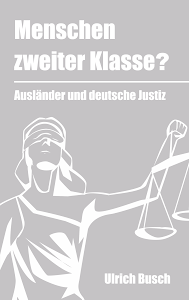 d. ) The legal bases under German law for the assessment of the decision of the fifth Section now differ from the time of the decision of the Court in case Nolkenbockhoff versus Germany, com­plaint no. 10300/83. In contrast to the legal situation at that time, a formal decision on discontinu­ation and a decision on the costs of the proceedings, including the necessary expenses, as well as compensation for the time spent in pretrial detention are mandatory. At the time of Nolkenbock- hoffs decision versus Germany, on the other hand, the proceedings were only discontinued on point of fact, not by a formal decision. As already stated, the incomplete decision of the Regional Court Munich / LG, which is in itself contrary to the law, proves the breach of the presumption of innocence, by having refrained from formally imposing and deciding that the costs of the proceed­ings should be borne by the Treasury, and to raise the question on whether, it applies, to compen­sate the late defendant for the two-years spent in pre-trial detention. These omissions clearly show that the formal decision, in violation of the law, were meant to prevent that the late defendant was deemed innocent under the law and that this had to be confirmed to him by pointing out that the decision is only allowed to assume a suspicion against the defendant because the defendant could no longer exercise his rights in the appeal procedure. At this stage as well, the presumption of innocence still fully applies and has not diminished in anyway. It is clear from these principles that the fifth section's claim that the OLG dismissed the complaint as unfounded is untenable in every respect. The operative provision -inadmissible- cannot be justi­fied by arguing that it is unfounded. The undeniable fact remains that the Court of Appeal/OLG/ imposed a bar on the appellant rights to access the courts in opposition to the case -law which is also binding for the Court of Appeal and of which it was aware of and by doing so, definitely and largely violated Art. 6 sec. 1 of the ECHR. the suspicion of having committed an offence and its reasoning contains nothing about judicial findings of guilt and nothing on attribution of guilt. Compare: Federal Constitutional Court volume 82 page 106, page 119 and furthermore Federal Constitutional Court /Bundesverfassungsgericht/ 2 BvR 386/04 dated 02.04.2004. Accordingly, any judicial finding of guilt or attribution of guilt, in any decision infringes on the presumption of innocence, protected by the German constitution, and the presumption of inno­cence of Art. 6 sec. 2 of the ECHR, which is line with the former. It may and need not necessarily be a final finding of guilt as in the context of a conviction, which is not at all possible in the con­text of a decision on a discontinuation of proceedings and it is impossible under German law. In the scope of the review, in their case, as to whether there has been a violation of the presumption of innocence of the Convention, it only matters whether the court that has taken the decision of discontinuation dealt with the question of guilt itself and whether this court, on the basis of its own examination adopted the judgement of guilt of 12.5.2011 as its own. If this is the case, a vio­lation of Art. 6 sec.2 of the ECHR is to be assumed. It is only in the event that the court, that has to decide the discontinuation, considers the finding of guilt in the judgment of 12.5.2011 merely as an indication of an existing suspicion and cannot identify any other circumstances that can rat­tle that suspicion, that the court can make a discretionary decision without breaching the presump­tion of innocence within the meaning of § 467 sec. 3, sec. 4 CCP/StPO/. Appeal Hamm /OLG/, in a description of a mere state of suspicion, since both the Regional Court Essen /LG/ Essen and the Court of Appeal Hamm /OLG/ assumed, at no point of their decision, a state of suspicion against Nolkenbockhoff, but rather described his conviction and the technical bar in the appeal instance as " almost certainly ". The verdict was based on extensive evidence of the facts and arguments of all rele­vant legal considerations. This cemented the finding of guilt. The use of the words "without final attribution of guilt" cannot imply that what has been said beforehand can be retrospectively interpreted as a mere description of a state of suspicion. Rather, the use of "words without final attribution of guilt" expressly em­phasizes the certain conviction of the judge deciding the case concerning the defendant’s guilt, and regrets that this attribution of guilt could not become final because the defence attorney sabotaged the trial. This view is supported by the Regional Court's explicit statement that the decision regarding necessary expenses was taken “in the absence of a conclusive finding of guilt” (see paragraph 9 above). “The decision was made ‘without a conclusive attribution of guilt’”. It is a violation of the rules of judicial reasoning, to supplement the decision of the Regional Court /LG/ with the obiter dictum of the Court of Appeal Munich / OLG /, which expressly dismissed the complaint as inadmissible and thus barred the appellants from access to court. Similarly, it is a violation of the rules of judicial reasoning to use the opinion of the Court of Appeal/OLG/ in the orbiter dictum to insinuate that the Regional Court/LG/ did not attribute any guilt. description of a “state of suspicion”. It should be noted in this context that the Schwurgericht chamber that took the decision on 05.04.2012 was not constituted with the same judges that took the decision on 12.05.2011, instead the chamber comprised of different judges. The view that the conviction was based on a detailed assessment of the facts and a discussion of all relevant legal considerations, is necessarily based on their own independent new review of the entire procedure, by the judges Lenz, Wolfel and Venneberg, and thus by the chamber in a different composition than the that of 12.05.2011. With the Judgement of 05.04.2012, the Court, composed of other judges, admitted that they had thor­oughly examined the finding of guilt of the judgement on 12.05. 2011 and that they had reviewed it. In that review, they claimed to have concluded that the finding of guilt is based both on a de­tailed examination of the findings of fact and also a discussion of all the relevant considerations on points of law and is therefore correct. With the wording of the Judgement of 05.04.2012, the Chamber confirmed the rightness of the judgment of guilt both in matters of substantive law and procedure and adopted the judgment of guilt as its own. It expressly emphasizes that it did not just adopt the judgement of guilt as a historical fact, but expressly emphasizes that its own legal re­view had taken place, namely the examination of whether the judgement of guilt was based on a detailed assessment of the findings of fact and a discussion of all relevant legal considerations. By doing so, the chamber established the accuracy and thoroughness of the assessment of the evi­dence as well as the full discussion of all relevant legal considerations and after this review, adopted the judgement of guilt as its own. The consequence is a serious and lasting infringement on Art. 6 sec.2 GG by the Regional Court Munich / LG / in the decision of 05.04.2012. The Regional Court Munich / LG / was neither legal­ly authorized nor empowered, in the absence of the defendant, to carry out the substantive legal review of the judgement and to confirm the judgement of 12.05.2011. Art. 6 sec.2 of the ECHR does not only prohibit a final attribution of guilt, but also any kind of review and confirmation as to whether a judgment is right or not. The fifth Section of the European Court completely disre­garded this part of the protection guaranteed by Art.6 sec.2 of the ECHR and completely ignores it. Art. 6 sec. 2 does not only protect against the final attribution of guilt without a trial, Art. 6 sec.2 generally protects against any kind of review and confirmation of a judgment of guilt by an incompetent court and also protects against the identification of one court with the judgement of guilt of another court or a court composed of different judges, in a case where attaining a final judgment is immaterial. g. ) In the instant case, this is all the more true because the Regional Court /LG/ and its judges knew very well that the decision of 05.04. 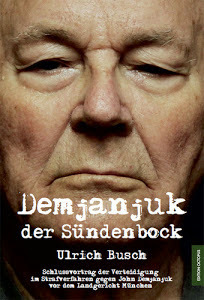 2012 was the final decision that will ever be taken in the criminal proceedings against Demjanjuk. In this decision, the fact that the Regional Court /LG/ adopted the judgement dated 12.5.2011 as its own, according to its statement, after its own examination and its own satisfaction and used it for the reasoning of its own decision, that alt­hough the conviction of 12.05.2011 is not final, but the review, confirmation and reinforcement of the finding of guilt by the decision of the Regional Court /LG/ dated 05.04.2012, will have the same effect as that of a final judgement in public opinion. The use of the words "without a final attribution of guilt" is not to be considered, neither in itself nor in the overall context of the decision, as an indication of a "state of suspicion", but as a hin- derance by the defence lawyer, according to the Regional Court /LG/, after its own examination, it justified and affirmed the attribution of guilt in the Judgment of 12.05.2011. The accuracy of this view is backed by the background of the trial against John Demjanjuk. Of the approximately 5,000 Trawniki men recruited under the Nazi regime, more than 70 years after the war, John Demjanjuk was illegally deported to Germany and accused of adopting Nazi ideology and of voluntarily and willingly aiding and abetting the mass murder of the German murderous state. It was until then the legally accepted position all over Germany that Trawnikis, even if they had served in extermination camps, were generally considered to be innocent, except they had committed excessive crimes in the extermination camps. Innocence was derived from the histori­cal fact and truth that the Trawnikis were recruited from the POW camps of the Nazis, where the members of the Red Army were imprisoned and systematically murdered by starvation or Nazi terror or executed by gas. Everyone in the Federal Republic considered to the benefit of the Trawnikis that they had not vol­untarily served in the extermination camps and had been under constant threat of death for diso­beying superior orders. An escape was both unreasonable and impossible. The highest Israeli court, in proceedings against Demjanjuk, had already assumed that Demjanjuk had served as a security guard in Sobibor in the extermination camp, but also pointed out that Demjanjuk cannot be convicted of that. Because there is no knowledge and no facts as to when exactly he was at the camp at the time of the arrival of Jewish victims and as to when he was the guard on duty, and when he was not. During the time, he was said to have been in Sobibor accord­ing to his official ID, Trawnikis were often posted elsewhere and this makes it simply impossible to convict him. The also applies, because nobody knows exactly the kind of duties Demjanjuk carried out in the extermination camp. With that it becomes apparent that everyone in the Federal Republic knew that Demjanjuk was innocent and could not be sentenced. This was also known to the initiators of the trial against Demjanjuk, whose political concern, however, was to make Germany socially acceptable again on the road to becoming Europe's leading power, despite the atrocities committed by the Nazis. It was believed that this could be achieved by playing down Germany's sole guilt in the Holocaust and the murder of Jews and by Europeanizing its responsibility for the Holocaust. They wanted to portray other European nations as collaborators of the Nazi terror next to Germany and thus come to a milder assessment of the atrocities committed by Nazi Germany. The trial before the Regional Court Munich / LG / with the judgement of guilt dated 12.5.2011 was a political trial, which led to the politically desired and hoped for result. During the discontin­uation, it was all about defending the finding of guilt and more than that, even going beyond revi­sion and past the revision to save it. The Federal Court of Justice/ Bundesgerichtshof/ would have had no choice other than to acquit the defendant. With the decision of the Regional Court Munich / LG / of 05.04.2012, the final and last possible attempt was made to portray Trawnikis and thus a large number of European nations as collaborators of the Nazis and to make them jointly respon­sible for murdering Jews. In the light of the historical truth that Germany bears sole responsibility for the unthinkable crimes perpetrated by the Nazis. This attempt, by Germany, must be resolutely opposed by the European Court. j.) It is just so obvious that the decision dated 05.04.2012 lacks, as the fifth Section claims, the unfortunate wording. In addition, the court deliberately provided an untrue representation of the proceedings. This, as we all know, had been protracted due to the fact that a trial could only take place for a maximum two to three days per week for 90 minutes before noon and in the afternoon. The defendant would not have been able to stand a lengthier trial. For that reason alone, there were weeks of delays in the proceedings. Numerous days for the trial were cancelled because the defendant had such low blood levels on the scheduled trial days and was in some kind sedated state that he was considered to be incapable of standing trial in the proceedings, but instead had to be attended to in the hospital and receive blood infusions. The defendant, who had been suffering from a deadly illness for years, should not have had to stand trial. It was almost certain that he would not survive the trial and was expected to die at any time. That is why everyone one all over the country spoke of the court’s race against time. The death of the defendant and a discontinuation of proceedings were almost certain. A trial should not have taken place under such circumstances at all, the defendant, however, was used to set an ex­ample and to exonerate Germany from the sole responsibility for the murder of the Jews. Due to this, Demjanjuk was exploited and abused an as instrument to create a complete caricature of the historical truth about Germany's sole guilt in the murder of Jews. In addition, all documents that were read out for weeks in a row had to be translated in to Ukrainian and read to the defendant, so the claim that the defence counsel had prevented the judgement attaining finality is highly and objectively untrue. Furthermore, it should be noted that it was certainly humiliating for the parties to hear the decision of the fifth Section dated 24.1.2019 from the press and not from the court. The presumption of innocence of Art. 6 ECHR has been weakened by the decision of the fifth Section, in a way that undermines its duty to protect a fundamental and indispensable human right. The fifth Section even allows the courts to bar access to the courts and considered it merely as a theoretical violation of Art. 6 ECHR. For the fifth Section not even the statement that the court considers the defendant guilty after conducting its own examinations and the explicit affir­mation of the judgement of guilt of the first-instance violates Art. 6 ECHR, as long as and in so far as the court deciding the discontinuation then simply insinuating in its decision with the addi­tion - that the first instance judgment has not become final. Then simply suggesting that the court deciding the discontinuation merely intended to describe a state of suspicion, apart from that, it merely used unfortunate wording. The view of the fifth Section thus leads to a comprehensive exclusion of Art. 6 ECHR and opens the door, for the judges, to wrongfully and illegally, deter­mine the question of guilt in the absence of the defendant, whose presence is mandatory. With the consequence, that the purpose of Art. 6 ECHR to serve as a lighthouse for the protection of human rights Art. 6 ECHR, is downgraded to insignificance. from German into English to the best of my knowledge and ability, the translation is a true and an accu­rate translation of the documents presented before me. I, further, certify that I am competent in both lan­guages mentioned above. Sworn and authorized by the president of the Oberlandesgericht Diisseldorf for the English-, Pidgin- and Yoruba language.